Maybe you are like me in that you find marketing fascinating. If so, you might like to know about David Ogilvy’s “secret weapon”, as he called it. It’s not collapsible nun-chucks, a switch-blade comb, or anything like that; it’s a book called Tested Advertising Methods, written by John Caples in 1974. 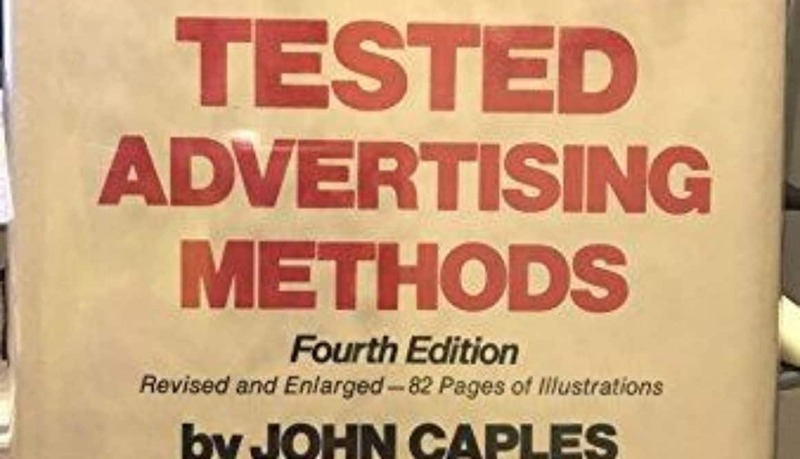 The book is based on Caples 49 years of experience writing mail order ads and could also have been titled “100s of Tested Advertising Methods” without being misleading; perhaps I wouldn’t have put off reading it so long! Tested Advertising Methods may not have been written as long ago as Scientific Advertising by Claude Hopkins, the one Ogilvy said you should read 5 times. But Caples career stretched back to the 1920’s, when people like Claude Hopkins were creating the modern discipline of data-driven marketing. In fact, I wanted to share my thoughts on this book because of just how useful it is to me as a digital marketer. In his book Ogilvy on Advertising, David Ogilvy casually mentions the book twice; he once says, “Anyone wishing to learn more about headlines should read Tested Advertising Methods by John Caples”. An earlier edition taught me most of what I know about writing advertisements. Like Ogilvy, I find this book to be the most useful one I’ve encountered on writing copy. Caples goes into much more detail than Hopkins and Ogilvy. The latter two cover the broader themes of advertising strategy and business (and are extremely fascinating). Caples? He offers 35 formulas for writing headlines. It’s because of its attention to the science of testing that Tested Advertising Methods is particularly relevant to digital marketing (By the way: “marketing is just a new word for advertising” – Drayton Bird) because it draws from John Caples’ data-driven approach to both analysis and targeting. He integrated these “channels”, as we now call them, with sources codes, which he called “keys”. Analog integrated marketing, essentially. Perhaps he was a more careful custodian of his data because of how hard he had to work to get it. One thing that sets the book apart from the get-go is the premise Caples gives it: it’s not about rules or best practices; instead, it’s a list of factual observations. That doesn’t mean it’s a list of mere ‘tips n tricks’, though, because each method he offers comes with an explanation of the behavioral psychology that supports it. And as the book proceeds, he weaves these psychological insights into his explanations as recurring patterns — not just of consumers but of advertising professionals. He warns us against our mental laziness and psychological weaknesses. Testing a series of ads by split-run. One pulled 235% more replies than the control; another 34% fewer. 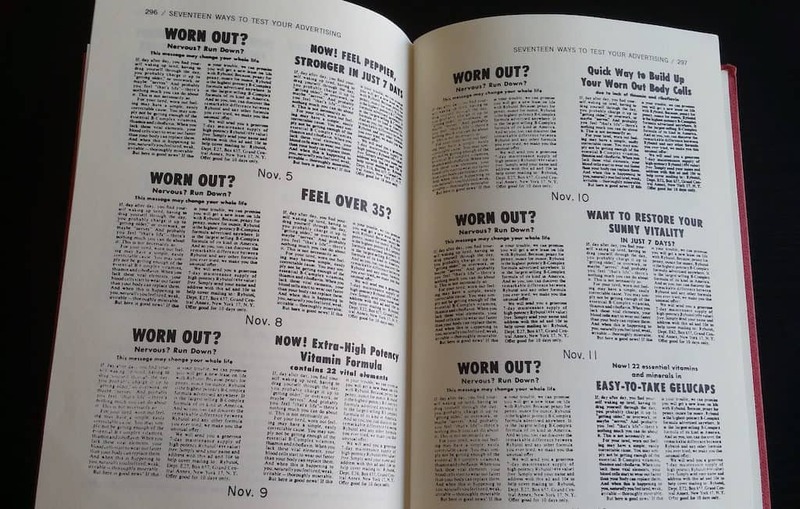 Caples was a meticulous collector of advertising data over the 5 decades he himself wrote and tested copy (or “49 years” as he puts it; John Caples wasn’t one to round up). In that sense, Tested Advertising Methods is the final summary of one man’s life work. This book isn’t applicable to just any kind of marketing. It’s about what digital marketers call “conversion copy” or “sales funnel copy” (and 6 other things — thank you Internet). The copy that goes right next to, and literally on top of, the buy button. It’s not about brand messaging and awareness, which Caples calls “corporate-image copy”. Nor is it, in theory, about lead generation. I say in theory because, despite his disclaimers to the contrary early on, it becomes apparent as you read through the book that John Caples was actually obsessed with the art of lead generation. He calls it “advertising leads” and seems to see himself as a defender of the business practice of generating them, rather than going straight for the sale. The Hubspot Inbound methodology is a useful frame of reference for understanding John Caples terminology. Like Ogilvy on Advertising, this book is so dense with wisdom and insight you’d think it was a Walt Whitman poem. There are at least a dozen brilliant ideas in just the first chapter (of 18 total) alone. I have seen one mail order advertisement actually sell not twice as much, not three times as much, but 19 1/2 times as much goods as another. Both advertisements occupied the same space. Both were run in the same publication. Both had photographic illustrations. Both had carefully written copy. The difference was that one used the right appeal and one used the wrong appeal. This excerpt captures the book’s confident tone, subject matter, writing style. And his devote focus on headlines (a term he uses interchangeably with “appeals”). Of the books 18 chapters, 5 deal with headlines. You may have read before, too; I believe I had, even before I saw it quoted in Ogilvy on Advertising. And there are certainly many similar statements. But what Caples says immediately afterward is striking and not something I’ve ever heard repeated. To discover the correct appeal is often difficult. There may be many wrong appeals and only one right one. If my advertising agent had a year in which to prepare a campaign for my product, I should be perfectly satisfied if he spent eleven months in search of the right appeal, and one month — or one week, for that matter — preparing the actual advertisements. So somewhere between an 11:1 and a 54:1 ratio of research to writing. Let me just ask this: when did we last spend 1 to 4 hours researching a headline for the 5 minutes we spent wordsmithing it? After continuing to”tirelessly”pour over the text another gem of wisdom, I finally found one — 4 paragraphs down! A mere obvious sidenote for Caples, but something we need to deal with in digital marketing. Every logical advertising medium should be tested. Let’s be honest — I don’t know about traditional offline marketing, but this (testing every logical medium) almost never happens in digital marketing. The paid search marketer says “paid search is the best approach to digital marketing because of XYZ”. His counterpart says, “Yes, but only AdWords”, because that’s the only network he knows. And so on; each specialist often makes a similar argument. It’s the blind men and the elephant. Chatbot messenger marketers are fanatics, for example. And of course, each specialist is right — sometimes. And wrong, other times. If there’s one discpline I *think* we digital marketers can agree is always a good investment, it is good, call-to-action web copy. But that by itself is never enough. 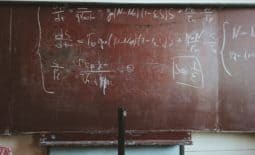 Do we need to know all digital marketing mediums? No, but we need to understand the limits of what we do know if the client’s results are what matter most to us. I was recently doing some communications and marketing work in South Sudan, managing web and social content and traffic. The UN had hired me to design a digital communications strategy. But what medium do you suppose was most effective to the audience I was working with (the 14 million people of that country)? Not Facebook, not television, and not print. Radio. The only communications medium that more 10% of the population has access to. The “logical advertising medium”. [Steps down off soap box]. [Steps back up on the soap box]. Anyway, how did they test back before they “had computers”. It has been proved many times and by many advertisers that in a properly controlled test the advertisements that bring the most inquiries usually bring the most sales. Advertisers who employ salesmen to follow advertising leads have found this to be true. Daniel Starch, a famous advertising analyst, reached the same conclusion in his analysis of five million inquiries received by 163 firms over a period of 12 years. And we thought “Big Data” was a new idea. If you just keep reading — it's yours! Here is a formula: (1) Write an irresistible headline. (2) Back it up with facts in the copy. (3) Make an unbeatable offer in the coupon. The point, of course, is not this formula. The point is: use this book to find formulas. On that note, don’t stop reading at chapter 1. In fact, if you thought my assessment of chapter 1 was good, wait till you read the 800-word preface: it probably contains more digital marketing wisdom than I’ve ever seen published in a blog post. Why study what someone else has done and not figure it out yourself? In this case, it’s not to memorize the outcome of their work, necessarily. 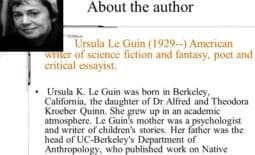 But it very much is to memorize their starting points, such as their pyschological insight (for example, never put an benefit into a headline that a reader can’t imagine experiencing for herself). And why not identify our own “starting points”? Well, we should and we do. But when you have the benefits of decades of testing of analysis, not a bad idea to give yourself a headstart. This is why scientists must be educated, so they can build on the discoveries of their predecesors and not repeat their hypotheseses. I don’t know of one single written work that will better improve your marketing hypothesizing than this one. You will increase your chances of writing good [ads] if you read this book, and commit its conclusions to memory. Let’s let Tested Advertising Methods speak for itself. Below are the “tested facts” that you’ll understand from reading it. The categories are mine so that we can understand them in terms of contemporary digital marketing. The italicized items are quoted verbatim from the book. Some are principles, some describe examples of ads that worked. What kinds of headlines attract the most readers? Is this book (and by extension other pieces of the pre-digital advertising cannon) all that a digital marketer needs to know? No way, not even close. In fact, here’s where I differ from folks in the advertising industry: Digital media is different, digital content is different, and so is digital strategy. Of course, copywriting is the foundation of digital content, as I have acknowledged in the Digital Content Manifesto. Words are the building blocks of our funnels. People read more of them now than ever before. But the way that digital content is experienced is completely novel; it’s not something that either John Caples or David Ogilvy were able to analyze (they sure would have mastered digital marketing if they had). A digital strategy, which I clumsily define as a set of ideas inspiring the move to a lasting position of advantage through distinctly digital methods, requires, well distinctly digital methods. That said, this book, in particular, lays the foundation for what we do as digital marketers, designers, writers, and developers. I think it’s required reading for every one of us trying to move people to act through digital content.